As you have seen, water characteristics can give you a lot of information about the ecological state of a river. 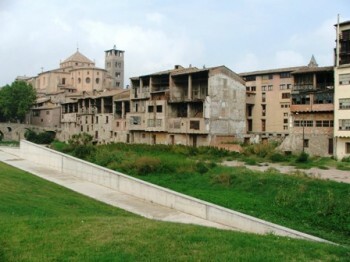 However, ecological status concerns also living organisms. These organisms are called indicator organisms. Some of them can survive in polluted waters. Thus, its presence will indicate a high level of water pollution. On the other hand, some of these organisms can only live in clean water. Thus, if we find them, we will know that the water is not polluted. Imagine that you found these organisms in a river. Would that be a good or a bad signal? Do some web searching in order to know some characteristics of the organisms. That will help you! Don’t forget to copy the table in your notebook. Quality indices use the presence of indicator organisms and the water characteristics in order to establish a numerical value that will give us an idea about the ecological status of the river. As you know, plants do the photosynthesis. In rivers and streams, there are also other small organisms that are doing the photosynthetic process: they are called photosynthetic aquatic organisms and are commonly known as algae and cyanobacteria. Algae are very important to freshwater ecosystems because they provide oxygen through photosynthesis. 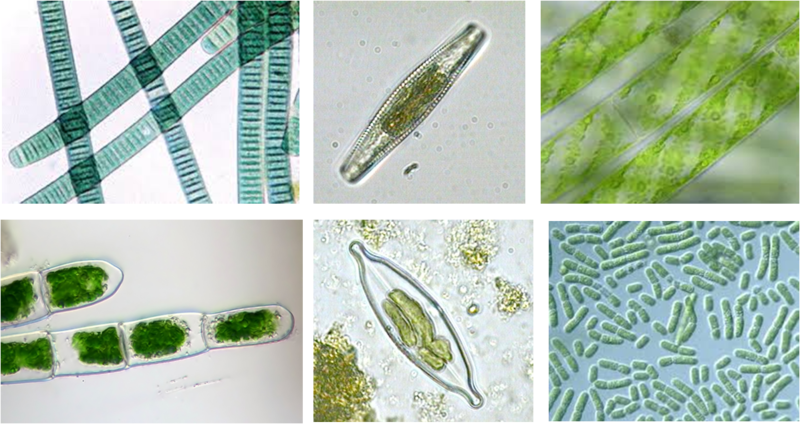 Now that you are an expert, have a look at these pictures and classify them within: diatom, green algae and cyanobacteria. 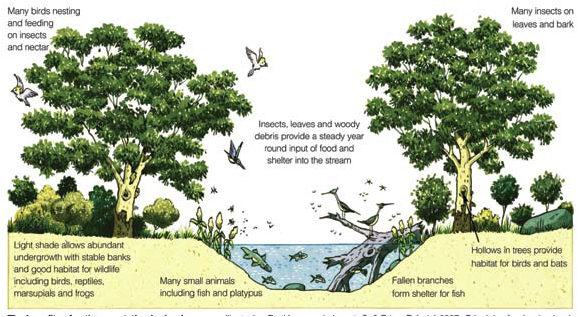 MAMMALS: Rivers support a small variety of mammals. 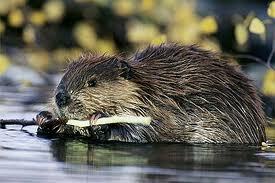 For example, a beaver. 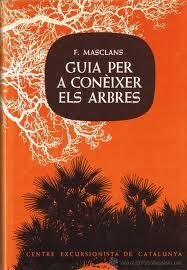 FISHES: There are 32 native species of fish in Catalan rivers. Most of them are considered threatened by introduced species (at least there are 25 introduced species in Catalan rivers). In a watershed, the fish distribution depends on the water characteristics. 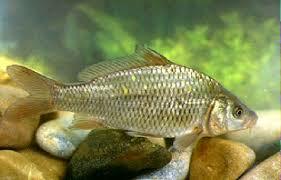 Fishes are classified according their migratory behavior. Click here and you’ll discover! 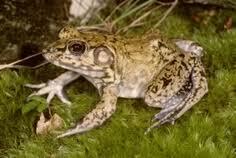 FROGS: Many frogs spend some phases of their life cycle in rivers. 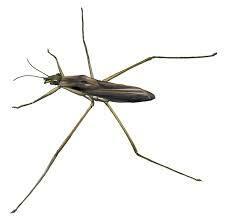 As adults, they live in the riparian zones to avoid drying out. However, they return to the water in order to lay eggs. WATER BIRDS: River support a wide variety of water birds. Some of them live in the river and riparian areas, while some others use the river as a line to follow in its way to Africa during migration. 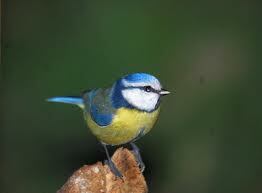 Click here and you will see and hear some of the most common water birds found in Catalan rivers. INVERTEBRATES: Invertebrates include insects, yabbies and other microscopic animals. The total number of invertebrate species in rivers remains unknown but would far exceed the diversity of the vertebrate fauna. They are considered good indicator organisms. Some water parameters were analysed in the field. 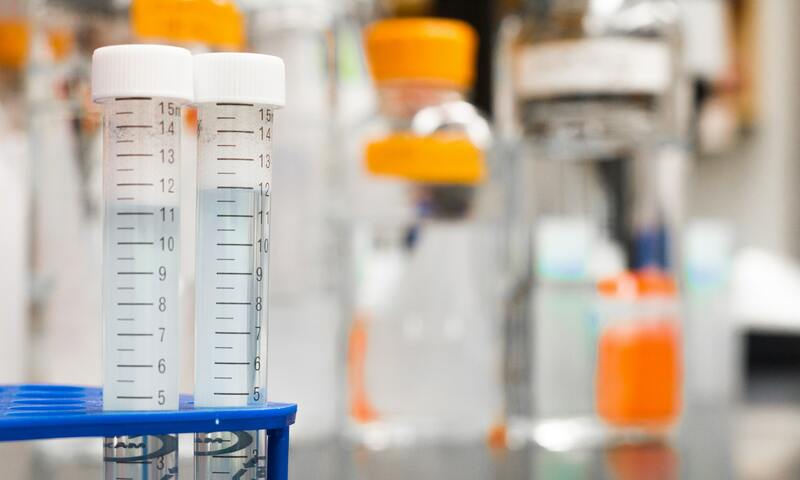 However, there are some characteristics that can be measured in the lab, such as the nutrient content or the suspended solids in the water. So, listen to the explanations of the teacher and do the analyses. Work carefully! At the end, you have to prepare a report that will be evaluated. Algae are so small to be seen by naked eye. That means that we need a microscope. Follow these instructions and you’ll be ready to discover a microscopic world! 1. Mix the sample, which is located in the fridge. 2. 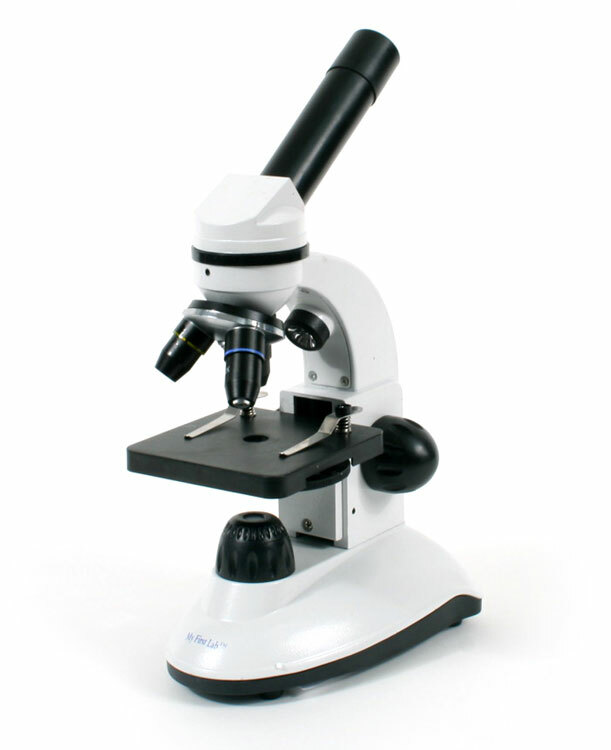 Add one drop of the sample (with a pipette) into the microscopic slide. 3. 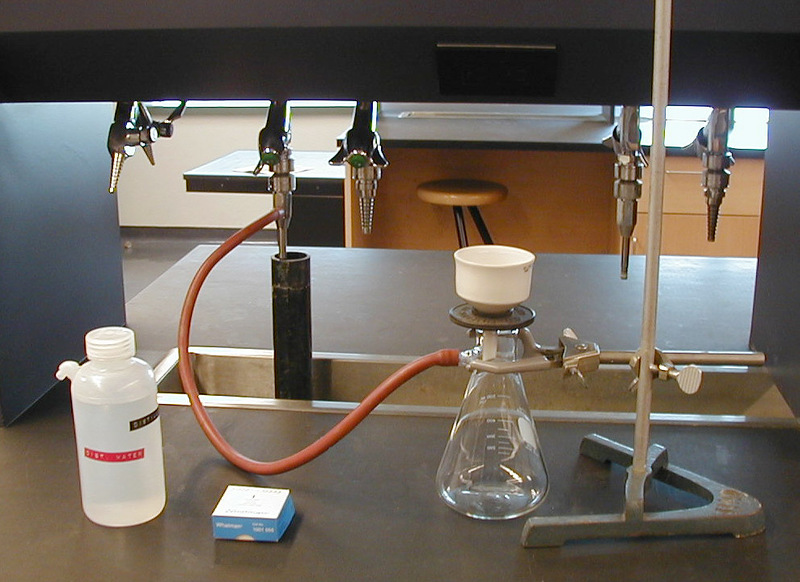 Cover the sample with a slide cover. 4. 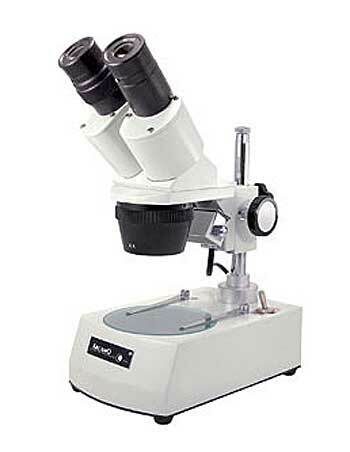 Use the microscope in order to see some algae. Do you know at which family do they belong (diatom, green algae, cyanobacteria)? Today we start working as a group of experts. – The photographers: your job for the next classes is to take pictures of all the species of the riparian vegetation and animals that will be included in the information panel and the website. Your work is very important, specially for the graphic designers, that will need your help in order to finish the panel. 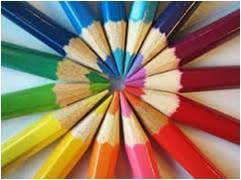 – The graphic designers: your job for the next classes is to design the website that will be linked to the information panel (don’t forget to add the pictures taken by the photographers). – The analysts: your are going to be working with all the data that has been collected. After your data treatment, you need to provide all the lists and graphs that will be in the panel and the website to the graphic designers, who will incorporate your work into the website. Your team has a very important work: you have to design the information panel that will be placed in the river and the QR codes that will be the link between the panel and the web. Remember to work as a team, the result will be better… sure! Once all the teams finish the panel, one of them will be selected, constructed and placed in the river. GOOD LUCK!! !